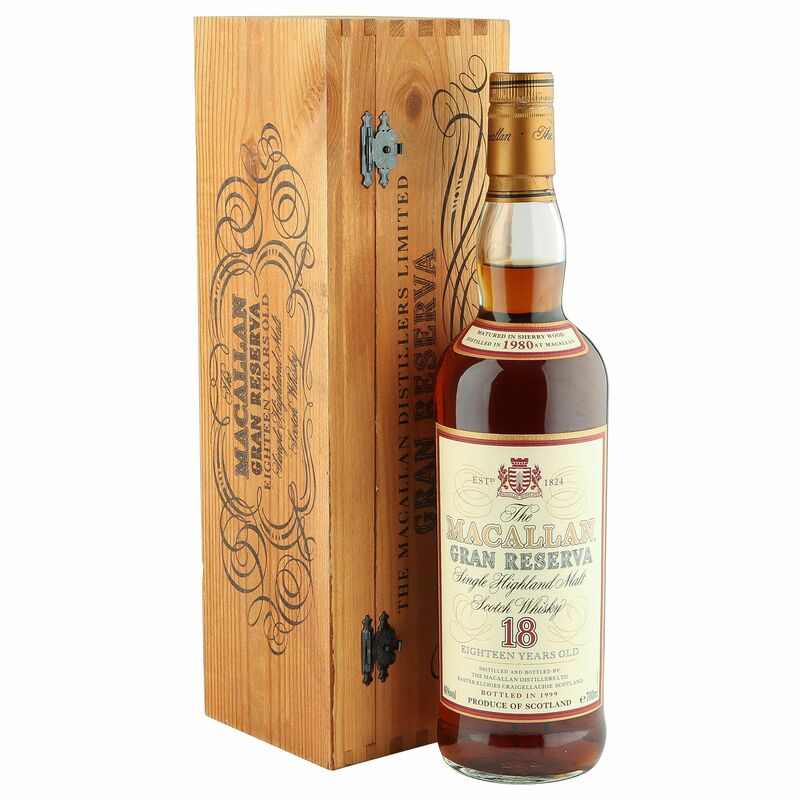 A part of the highly popular, and much sought after, Gran Reserva series from Macallan. 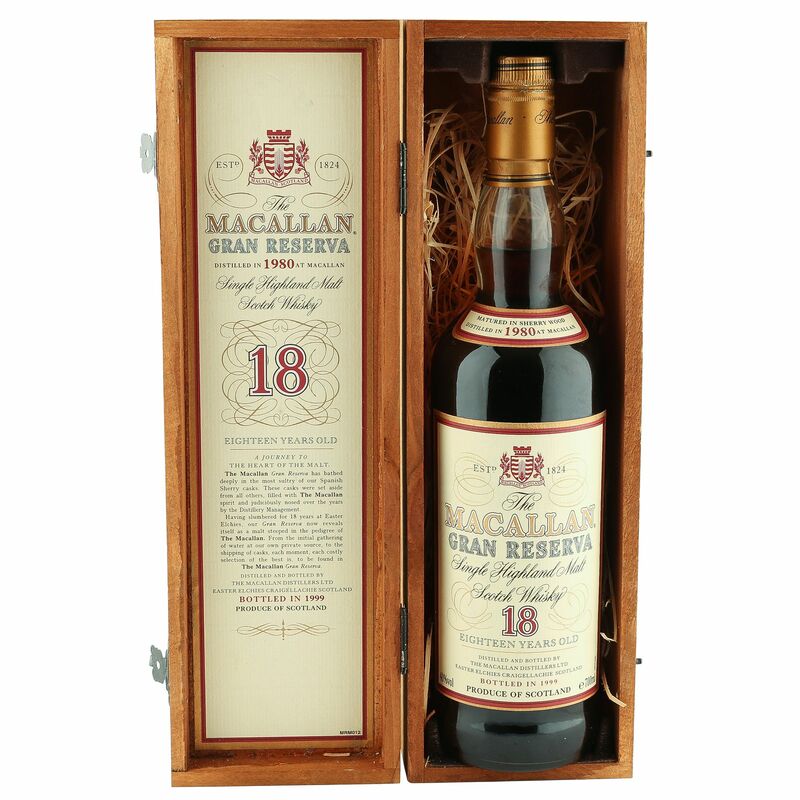 This exceptionally well preserved Speysider was distilled in 1980 and sherry wood matured for 18 years before being bottled in 1999. Comes complete with original wooden presentation case.